The cause behind the problem could be a hardware failure or an issue with the drivers or a malware or the fact that the device might not be formatted properly. To isolate whether the issue is with your system or the external drive, try connecting the external drive to a different PC. If it works fine with the other PC, then we would have to proceed to troubleshoot on the primary system. Else, you might need to replace the external drive. At times, the USB ports might be loose because of which we might face this error. A good method for isolating the case would be to connect the external drives on different USB ports. All of them couldn’t be bad. Other than this, you could try other external drives with the same USB port to check if the port is working. If yes, proceed to the next solution. Updating Windows updates a lot of functions in the system. It might be helpful in resolving this problem. Here’s the procedure to update Windows. We could update the drivers for the external drive. It is under the Disk drives section in the Device manager. Here’s the procedure to update drivers. 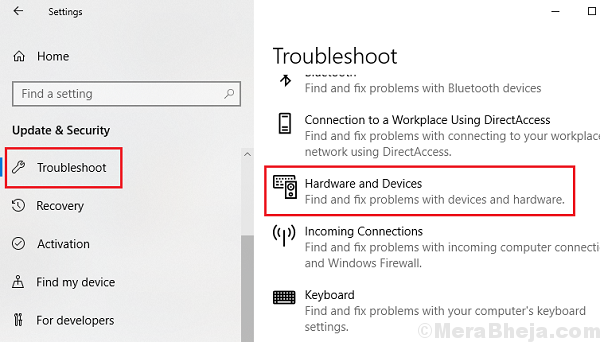 The in-built Hardware and devices troubleshooter, if run could check issues with the external hard disk and fix it, if possible. 2] Go to Updates and Security and then to Troubleshoot. 4] Restart the system once the troubleshooter finishes its job. Where X: is the drive letter of the external drive. 3] Restart the system once they complete the process. 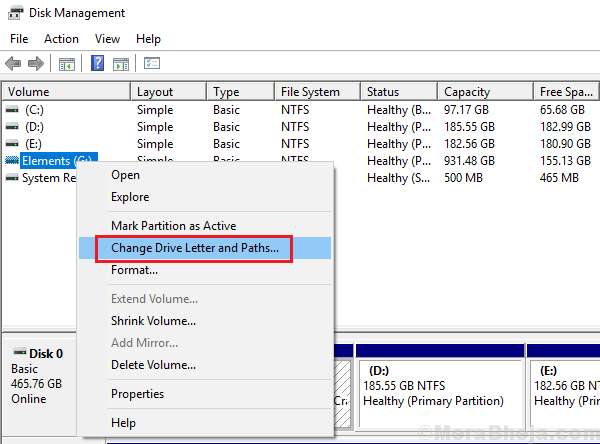 2] In the Disk management window, right click on external drive and select Change Drive Letter and Paths and then click on Change. 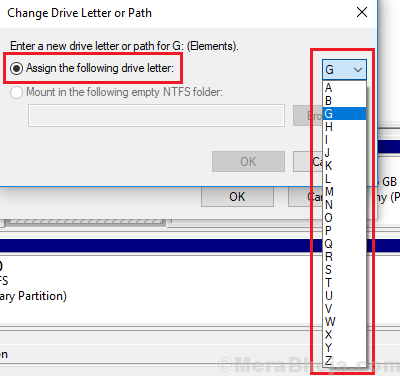 3] Select the radio button at Assign the following drive letter and select the appropriate drive letter from the drop-down menu. 1] Go to File Explorer >> This PC. 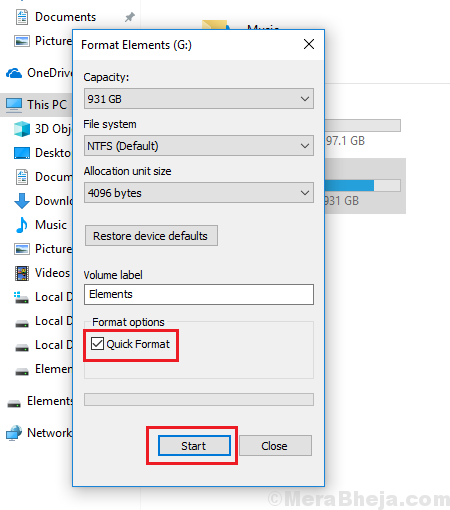 2] Right-click on the external drive and select Format. 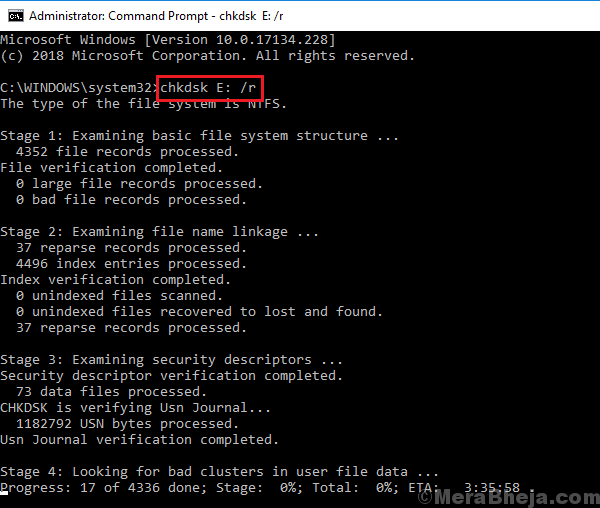 3] Check the checkbox corresponding to Quick format and click on Start.